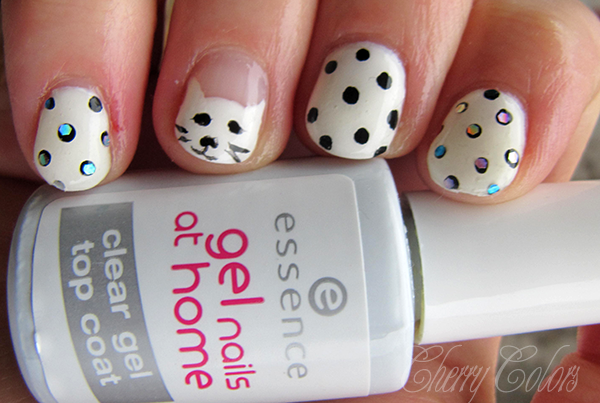 NOTD: Kitty manicure - Cherry Colors - Cosmetics Heaven! 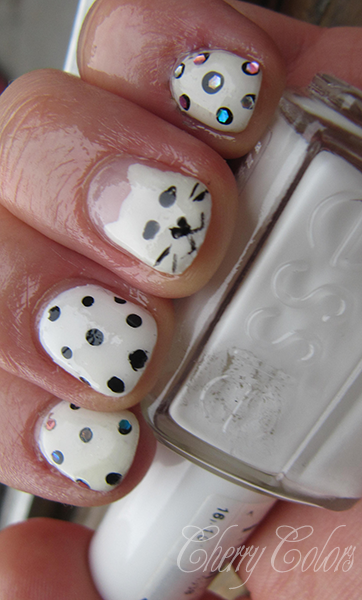 I have been very involved with nails and manicures lately. 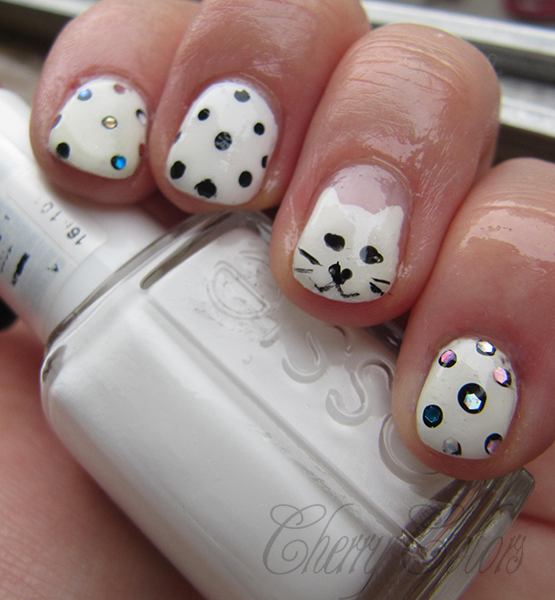 Here I was trying a cat design I saw somewhere online + added glitter confetti on the polka dots. I really liked the outcome, except I wish the top coat wouldn't shrink so badly (which made me use way too much of it in the second place). But now I do know a trick or two more, so it won't happen again.